Art Quality Canvas Print Anime Poster Peter Pan The Duel Home Wall Decor 12"x16"
Prints Size : 12 "X16". Canvas: High quality Chemical fiber canvas. This first-class canvas print is produced using only the highest quality materials and the latest printing technology to ensure an outstanding result. This is really a good news for screen printing industry! platen version of the station and the screen can rotate 360 degrees to a standing. This machine is three colors printing machine, suitable for one operators. Art Quality Canvas Print Anime Poster Hulk vs The Thing Home Wall Decor 24"x32"
Prints Size : 24 "X32". Canvas: High quality Chemical fiber canvas. This first-class canvas print is produced using only the highest quality materials and the latest printing technology to ensure an outstanding result. Art Quality Canvas Print Aminal Oil Painting Losers Dogs Home Wall Decor 20"x30"
Prints Size : 20 "X30". Canvas: High quality Chemical fiber canvas. This first-class canvas print is produced using only the highest quality materials and the latest printing technology to ensure an outstanding result. 1 x Screen Sensation Screen – Approx. 27.5 x 27.5cm (10.8" x 10.8") (Print area Approx. -23 x 23cm, 9" x 9"). Screen Sensation screens are pre-designed, manufactured using a professional screen printing process with the highest quality materials. Length: 3 yards. Width: 32". •It can also be applied to printing on substrates which need overprinting, such as pillowcase, bag, non-woven bags and so on. 11TY is our newly developed one color screen printing machine. （Our factory can make your order just send us your drawing then we can talk the price. Screen Printing Emulsion Sheets. New screens should be degreased/scrubbed before attempting to adhere any emulsion. - 30 MICRONS THICK WHICH ALLOWS MORE DETAIL IN YOUR FINISHED PRODUCTS. 8.5" x 12". Soap, water, & blow dryer not included. 100% cotton long sleeve. Made in USA. Bundle and save! Speedball lino cutter set no.2. Book: The New Gocco Guide. riso pen, never been used. 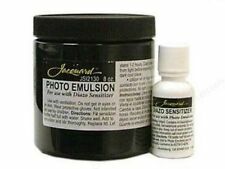 Emulsion Coater Size:approx.19.5 4.3 3.2cm. 1 Emulsion Scoop Coater. Squeegee Size:approx.14.8 11.2cm. Hinge Clamp Size:approx.5.8 5 9cm. 1 Squeegee. 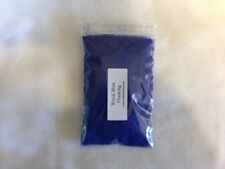 It is suitable for various kinds of printing ink. All the machines adopt advanced electrostatic spraying. All the Machines Adopt Advanced Electrostatic Spraying. 4 Color 2 Station Desktop Single Color Screen Printing Machine Screen Print DIY T-shirt. 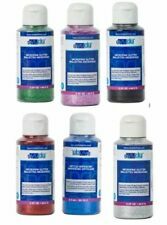 Speedball watersoluble screen printing inks are made for printing on paper and textiles. Non-flammable, non-toxic and cleans up with soap and water. 8 oz jars. [RISO] Maglia stampa GOCCO alta master B6. Per stampa Gocco. Model Print Gocco. A・RI・GA・TO・U! Tutti articoli restituiti devono essere la nuova condizione. Condizioni di vendita. Size: 275x165cm. Material: Polyester. Color: White. Detail Image. -Chemical resistance, good performance, resistance weak acid. For use in lino printing and block making. This kit can be used as a burnishing tool when transferring ink from block to paper, a lino cutter and is also a handy desk tidy to contain your 5 cutters. These squeegees are Kiln-dried and precision cut lumber is used for the no-warp. the screen to make it leak to the substrate. Use for both graphic and textile applications. 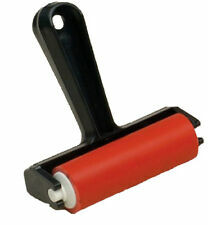 for all hand printing and many machine applications. Model Number: 4526. Manufacturer: SPEEDBALL ART PRODUCTS. Manufacturer Part Number 4526. Product Model 4526. Manufacturer SPEEDBALL ART PRODUCTS. Weight (Approximate) 4.05 lb. Product Information. Middle East. Weight: Approx.82g. Our Products are 100% Authentic! Speedball Fabric Screen Kit has everything you need to print on fabric.